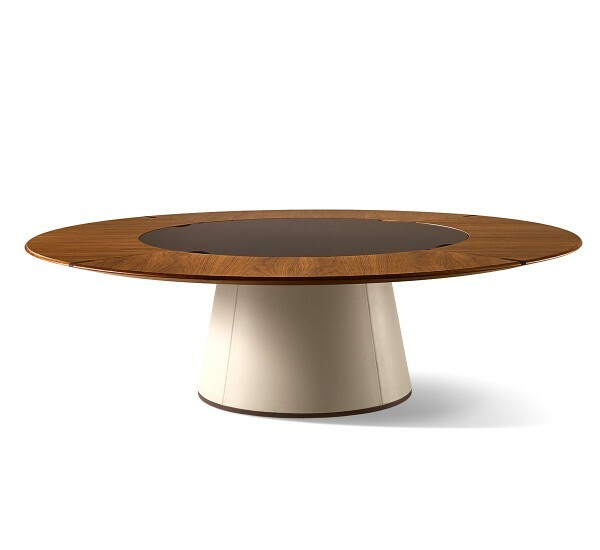 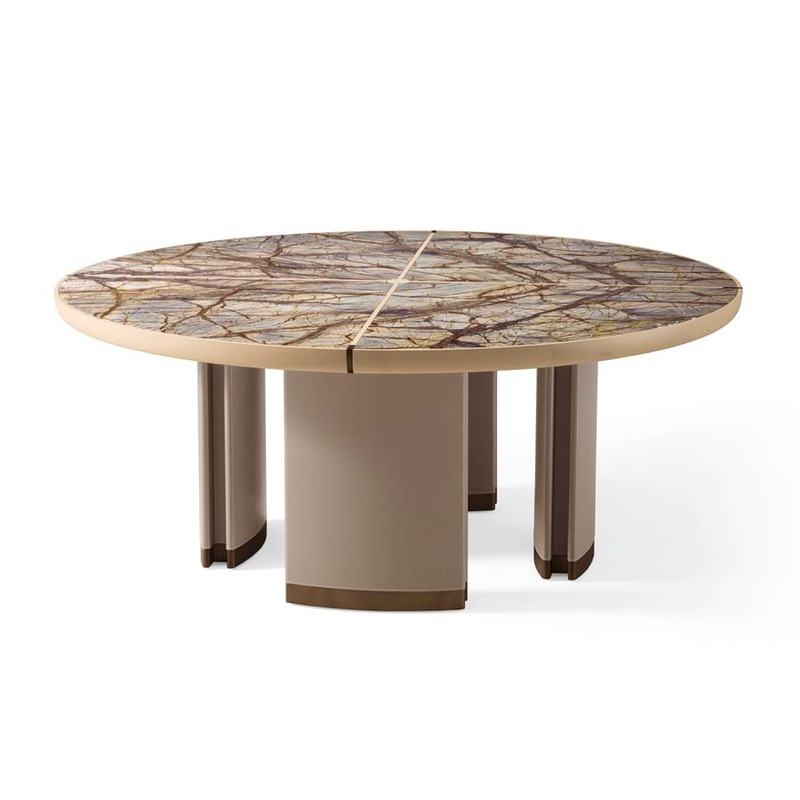 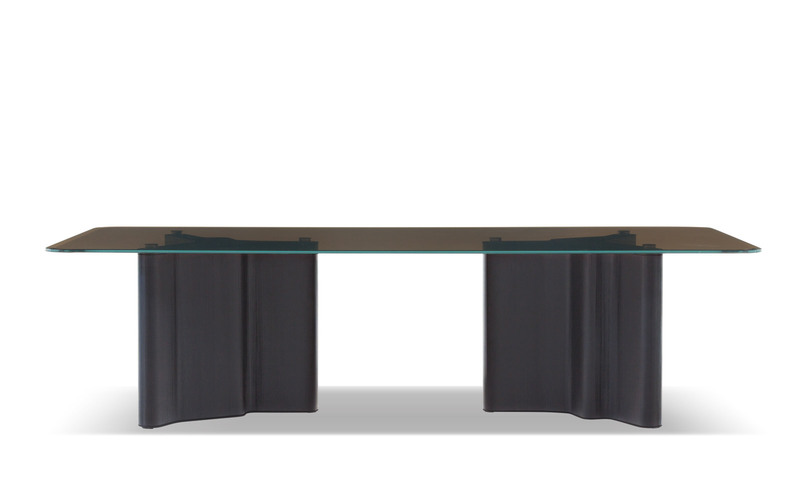 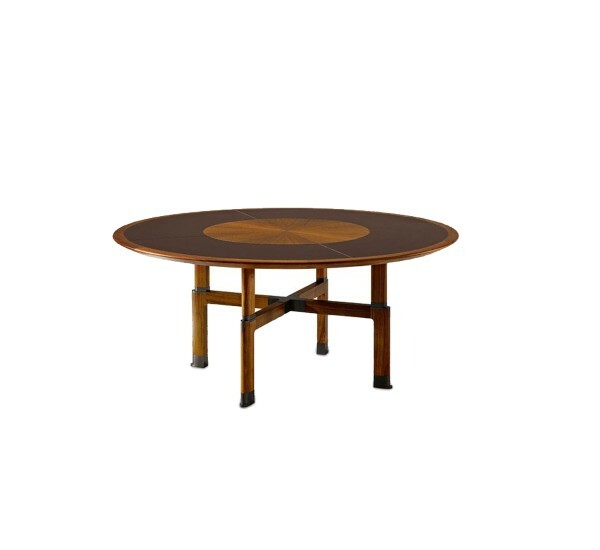 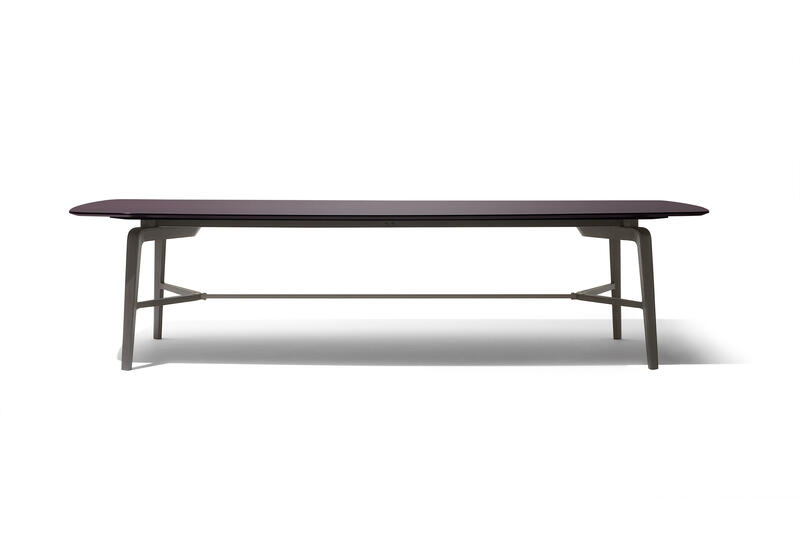 Dining table metal frame with external structure in wood, covered in leather in the colors of the samples. 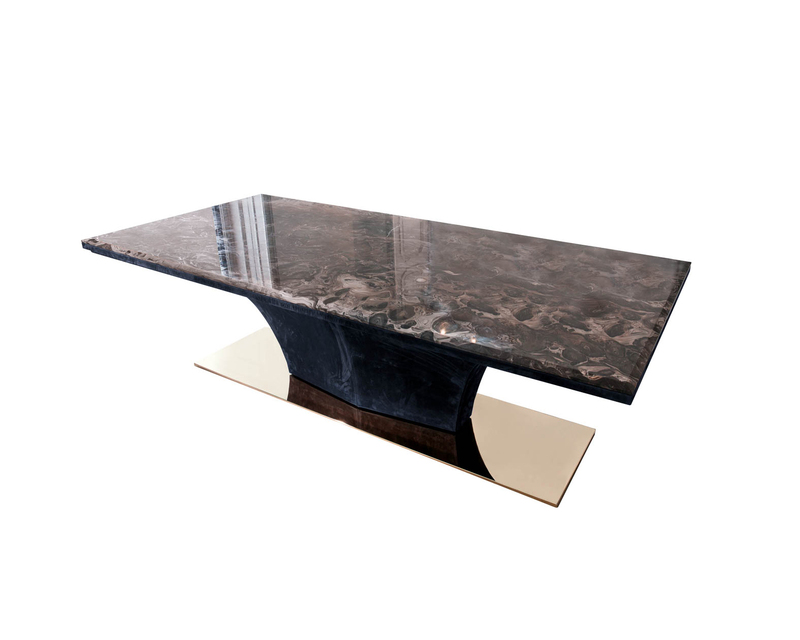 Base in metal with finish: bright light gold, shiny rose gold, matt Champagne gold, bright chrome, bright black chrome, matt satined bronze. 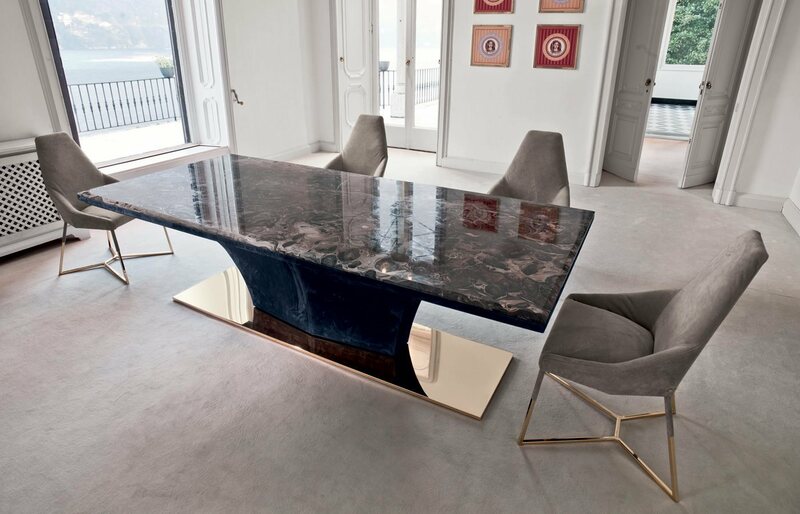 Top finish: 10 mm black painted glass with bevel, 6 mm thick bronze or smoked mirror with bevelling, 20 mm thick marble with 20 mm bevel: Elegant Brown marble, onlaid Rosewood marble, Silver Wave marble, Port Black marble, Frappuccino marble, marble Calacatta Gold, Emperador Dark marble.